Tack is a personal thing. You will spend many hours using it. It's got to look good and fit your horse right. I bought a saddle! After getting back into the riding world, I'm quickly realizing the importance of having your own things. From brushes, to helmets, to boots, to tack; having your own is so much better than borrowing from someone else. As you move up the ranks, it becomes more and more apparent that riding the barn's school horses are soon going to be out of the question. While saving up to get my own horse, I figured that I might as well buy a few things over time to help with the initial expense. Of course bridles and girths are a little bit difficult to buy when you don't know the size of your future horse. But you can get your own saddle. A saddle is something that is special to each individual rider. It needs to be comfortable for both you and your horse because you'll be spending many hours in it. I spent my time online searching about the saddle brands that I'd be able to buy at my local tack shops. I read reviews and learned as much as I could about them. Keeping in mind that saddles can come in many different price ranges, I knew I wanted something of good quality for the money. I wanted something that would also last without breaking the bank. 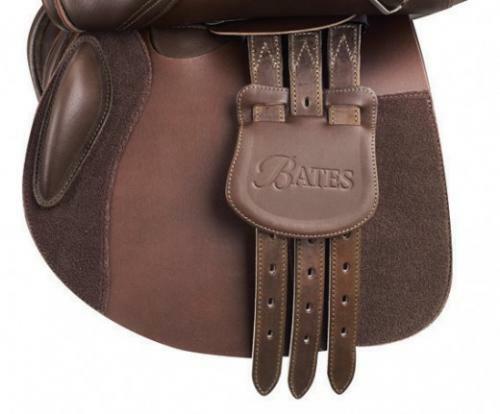 I'll be honest, I've always been intrigued by the Bates saddles. They have a beautiful look that stands out while also being quite classic. For riders who don't have their own horse or those who ride more than one, their easy change system is a great feature. It allows the saddle to adapt and grow with you throughout your riding years to come. I didn't want to buy a Bates on those two aspects alone. I wanted to make sure that this saddle was truly worth its money. I shopped around and looked at other saddles in that price range. After looking at other saddles that just didn't seem to compare, I waited for a sale and bought my very first Bates saddle. I got the classic close contact Bates Caprilli in Havana brown as well as their stirrup leathers. Can I also add how much I love this darker brown compared to the brown of past models? It gives it more of a classic look that's also easier to match up with your other tack. If you're going to buy a Bates, I'd suggest you read up a little bit about how to care for them. They recommend that you wash your saddle with glycerine soap and then condition it with a balsam. They also don't advise that you oil your Bates' leather. So, when I got home, I washed it with my Stubben glycerine soap and a tack sponge. Then, I applied quite a lot of the Bates balsam conditioner that comes free with your saddle (no need to go out and buy any!). I let my saddle sit coated in a thick layer of the conditioner for about 24 hours to allow the leather to soften even more before buffing the excess away. To my surprise, barely any of the leather's colour had been lost throughout this whole process. On my first ride, the saddle was a bit slippery (as expected). But again, none of the colour rubbed off on my pants and I was completely amazed. The more I ride with it, the more comfortable it gets and the more I love it. I will say that I wished that the saddle flap and billets were a softer leather than they actually were, but they are softening quite easily through time. Before anyone asks, I haven't tried changing the gullet to see how difficult it might be. I haven't needed to change it yet, but I'll keep you posted it I ever do need to. So that's it! There's my honest opinion of the Bates Caprilli saddle. I've been quite impressed with it and ended up loving it much more than I thought I would. For anyone looking for a good saddle that won't break the bank, I'd recommend checking this one out. I'd love to know what saddles you guys own. Do you like it? Would you recommend it? Let me know in the comments! This post was not sponsored by Bates in any way. Their product simply inspired the topic of this post.